Multimedia software company Cyberlink has announced the launch of its popular photo editing program, PhotoDirector, on iOS devices. The app offers a hefty set of photo editing tools, from filters and preset effects to skin smoothing functionality, a “content aware” tool for smart object removal, and much more. Users can import photos from their camera roll, or take images directly within the app. From there, they have access to sliders for changing things like white balance, highlights, shadows, exposure and contrast, as well as saturation. Users can crop or rotate images, turn on HDR effects, turn their photo into a black-and-white version (or flood it with some other color), and smooth out skin in portraits to reduce blemishes or freckles. 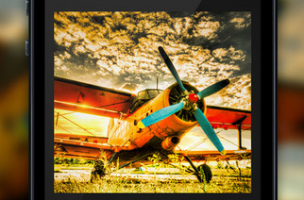 Overall, there are over 50 HDR and preset effects, including Lomo and Vignette options. Using the app’s content aware tool, users can trace an area in the image (using a zoomed-in view) and the app will remove it, filling the area with the appropriate material, based on the rest of the image (taking a person out of a photo, or a building out of a skyline, as examples). In all of these menus, users can tap and hold on a button to view the original version of the image for an instant look at just how much has been changed. Once users are satisfied with their images, they can be shared to Facebook, Twitter, Line, Instagram, email or other platforms. PhotoDirector is available to download for free on the iTunes App Store, and is also available on the Windows Store and Google Play. A premium upgrade is available for $4.99, and removes ads, provides unlimited object removal and support for 2560×2560 resolution.